I have been meaning to share this for a little while now, but it slipped my mind until now. On the Memorial of St. Blase, February 3, 2011, Pope John XXIII High School (Katy, Texas) actively participated in the Holy Sacrifice of the Mass in Latin. 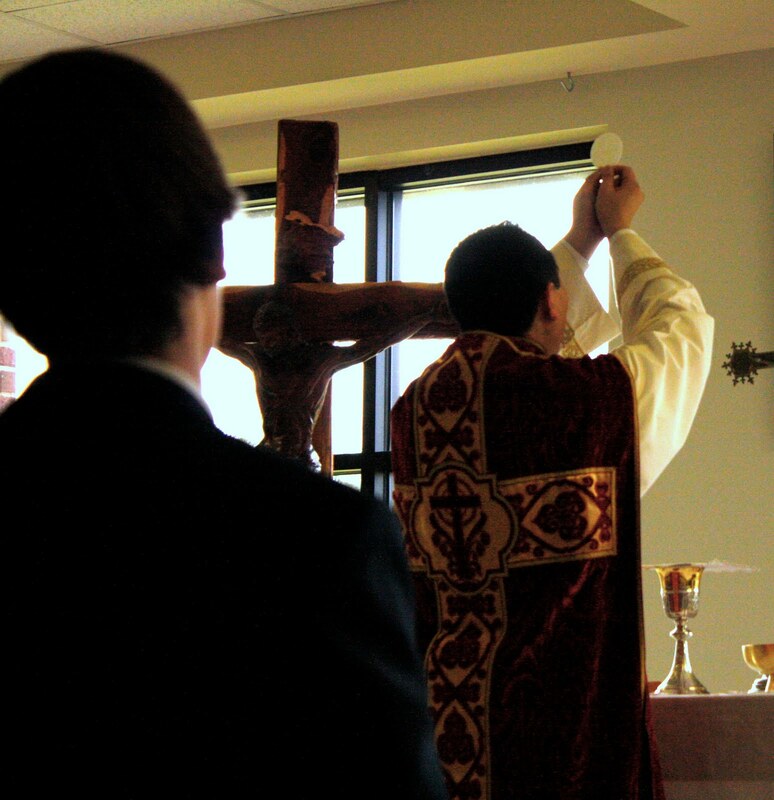 The Liturgy (in the ordinary form or Novus Ordo) was celebrated ad orientem by Father Tommy Chen (Diocese of Victoria). Father Tommy Chen gave a simple and direct homily that catechized the students on the value of praying in our collective mother tongue as members of the Roman Catholic Church and the significance of offering the Liturgy ad orientem.